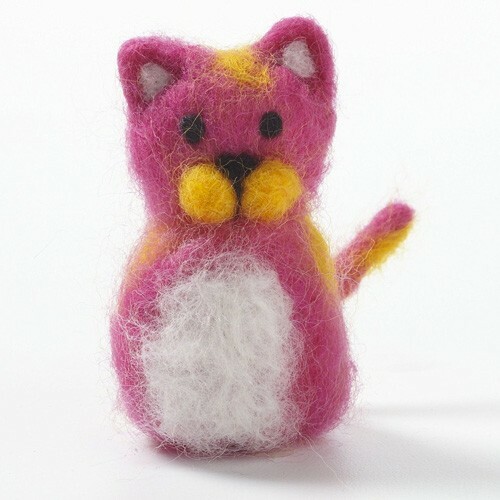 Experience the magic of needle felting with Felted Friends. 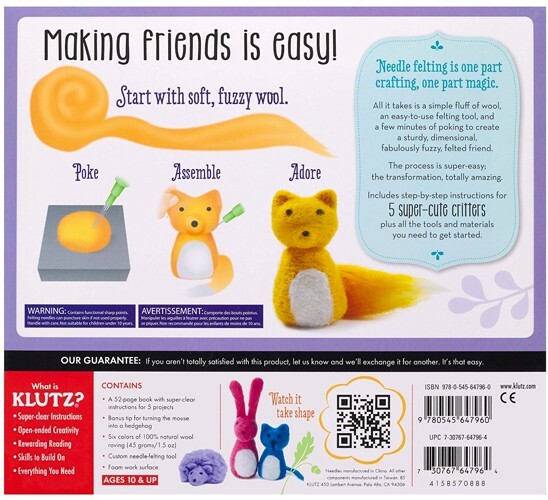 Our exclusive needle-felting tool is designed specifically for newbies -- with just a little poking, kids can transform loose wool into cute creations! 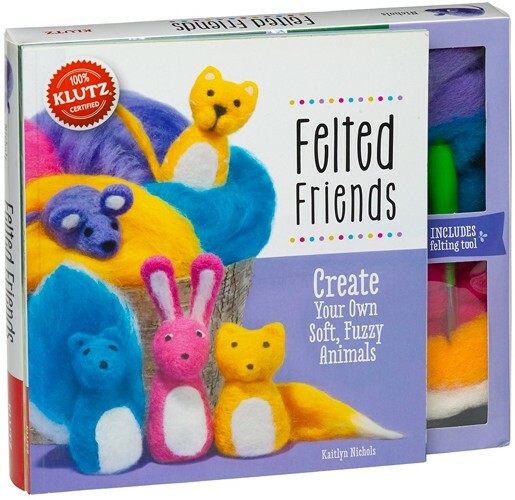 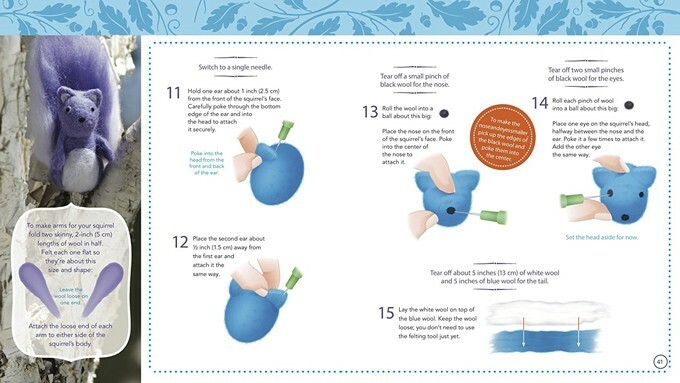 Our detailed instructions take crafters step-by-step through the felting process to create five different adorable animals. 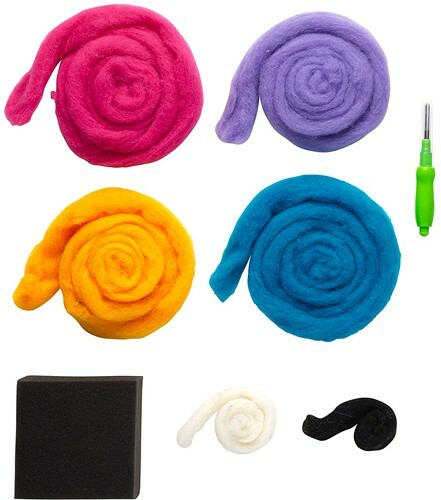 This set includes 100% natural wool in six vibrant colors, a felting tool, a foam block, three replacement needles, and a 52-page instructional book that provides the basics of felting, as well as plenty of inspiration for future projects when this set is done!